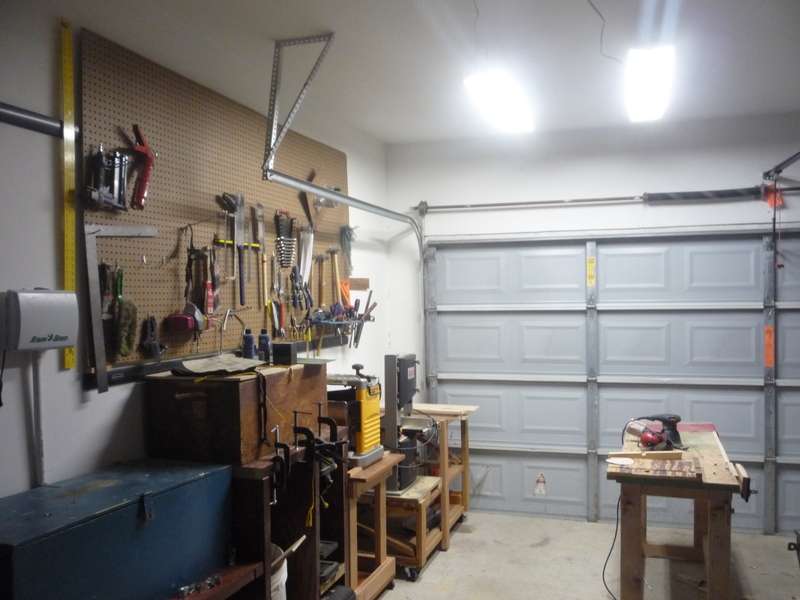 Since I moved into my new digs in April, my shop has undergone a number of changes. I blogged about the move-in and of course I went and changed it immediately. First, a couple bright spots. Not long after I unloaded everything I realized two very important things about home ownership. One, you can put holes in whichever wall you want, where ever you want, when you want. Two, it’s expensive. But not these lights. Remember to buy the bulbs and make sure you wire’m up according to fire code. I’m a midnight rider now. Last, but most importantly, new storage for lumber. I don’t make a lot of things (at least compared to retired guys and professionals) and what I do make tends to be salvaged lumber. 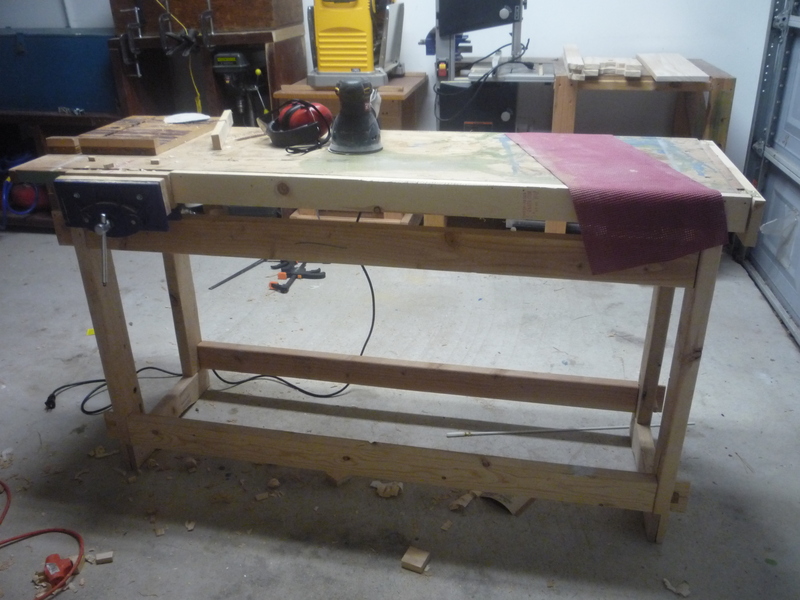 I needed a small place to store lumber for two or three months worth of projects at a time. Something mobile, something easily organized, something limited. I’ve always admired the one at work, so I built my own. 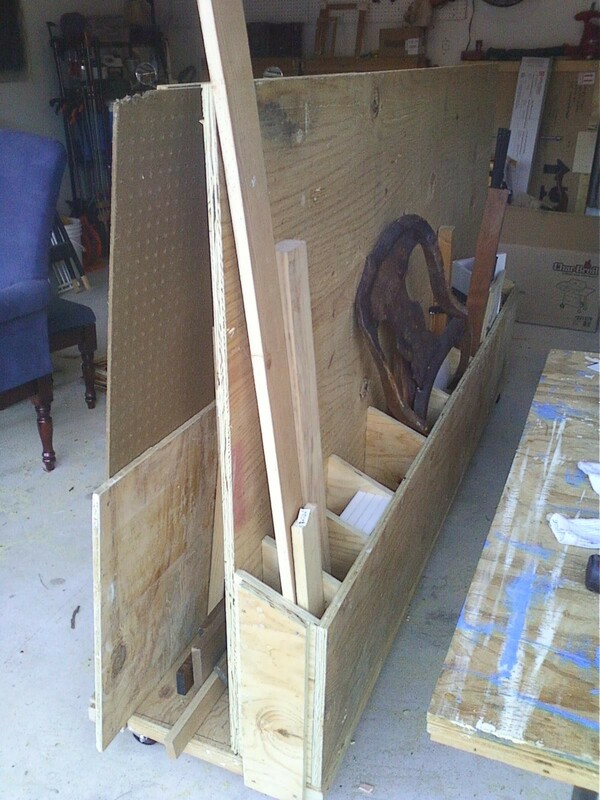 You can find plans for a similar cart here.